At the Members’ Meeting (12th July 2018) Mr A. Hull ceased to be a Trustee and is no longer named as Chief Executive Officer and Chief Finance Officer. At the Members’ Meeting (12th July 2018) Mr M. Adamson was appointed as a Trustee and takes on the role of Chief Executive Officer and Chief Finance Officer. Mark Jeffries is the former senior partner of the national law firm Mills & Reeve LLP. He is now Chairman of N W Brown Group Ltd (an investment management group) and a Non-Executive Director of R G Carter Holdings Ltd and the Norfolk & Norwich University Hospitals NHS Foundation Trust where he also chairs the Charitable Funds Committee. He is a member of Council of the Norwich University of the Arts and a board member of the Norfolk Museums Development Foundation. Between 2014 and 2017 he was a member of the Regional Schools Commissioner’s board for the East of England and NE London. Previous external roles were as an elected member of the CBI Council in the Eastern Region and as a member of the Bank of England’s Economic Advisory Panel for the East of England. Sheila Greenacre has been a trustee for three years and comes from a background in Education. She trained as a primary school teacher in Key Stage 2, but has taught across the age range from Reception through to Year 7. SheiIa was deputy head at Costessey Junior School before taking on her own headship at Wicklewood (near Wymondham) and leading it to an Outstanding OFSTED in 2015. She retired as head in 2016, but has continued to work in schools as a class teacher on a part time basis. Her specialised subject is Modern Foreign Languages at Primary level (French, German and Spanish). Sheila remains passionate about education and seeing all children achieve the best they can, and has a good understanding of the challenges facing school leadership at this time. In her spare time, she loves being active- walking her very energetic springer spaniel and enjoying Crossfit and other areas of fitness. Having been the Chair of Governors at Poplars Community Primary School in Lowestoft for 3 years, David Rich joined the Evolution Academy Trust Board of Trustees in 2017 and is also the Chair of the Academy Finance Committee. Outside of his work in education, David holds a number of company Directorships in businesses ranging from Virtual Reality applications, software and data processing. David is also an associate with a major UK investment broker, raising funds for businesses looking for growth and support. He is passionate about positive outcomes, both in business and for children. Drew Whitehead joined Evolution Academy Trust as a Trustee in 2018 following on from the role of Chair of Governors at Eaton Primary School where he oversaw the move from local authority to academy status. Drew has worked in the IT and Financial services industries for over 30 years as a Senior IT Leader and Consultant, with a focus on strategic planning and organisational transformation. Drew lives in Norwich with his wife and has two children who attend Evolution Academy Trust schools. Receiving the audited accounts as well as planning and appointment meetings relating to the succession for Mr Hull. Mr McCormack 4/6 left the board; the EAT Directors wish to express their thanks to them in particular to Mr McCormack as a founder member of the EAT Board and its first Chair. 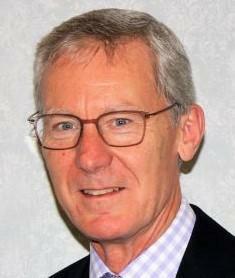 Mr S Bramble is named as the Trustee with specific overview of Safeguarding.